Earn $6.39 in Rewards credit (639 points) What's This? 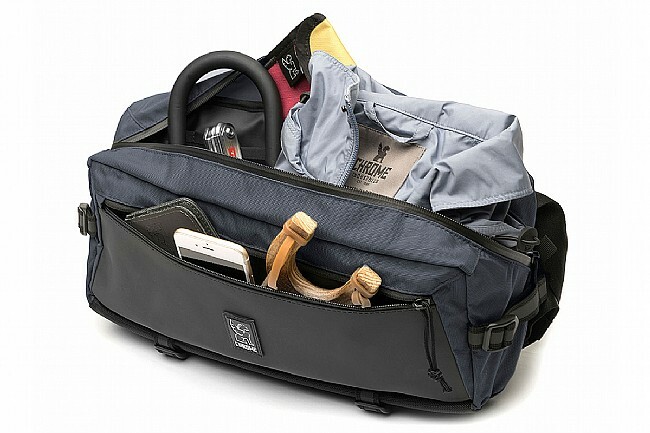 With the Kadet Welterweight Messenger Bag, Chrome set out to make this a leaner, meaner bag that's ready for life on the streets. Upgrading the Kadet with a durable Tarpaulin and lightweight nylon construction, this sling bag will stand up to the wettest commutes or adventures through the urban jungle. 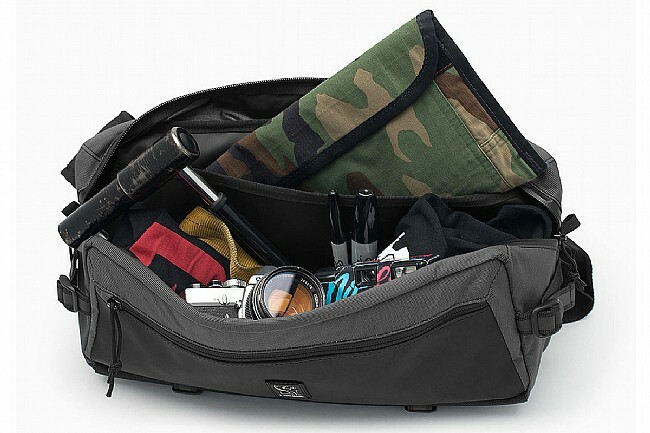 Providing 9 liters of storage, the main compartment of this bag has enough space to easily house a camera, tablet, notebook, or whatever else you need to take to the streets. 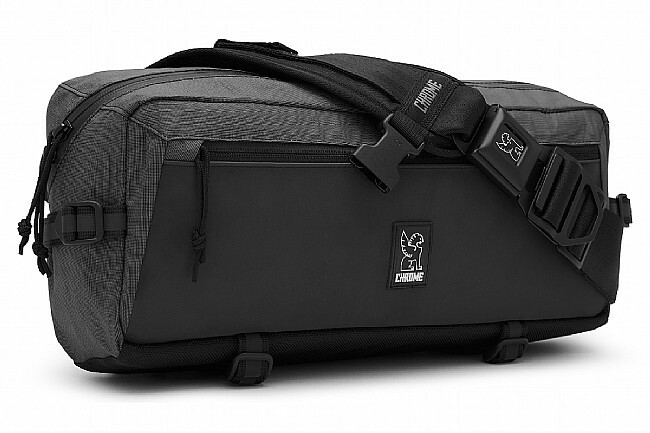 While mounting loops throughout the bag allow for daisy-chaining of additional accessories, and a padded U-lock holster on the rear keeps your lock handy for quick lockups. Belt pack style for cross-body wear with easy swing around access. Daisy-chain mounting loops to attach additional accessories. Low key but extra reflective TPU tarpaulin accent panel. Great bag. Just wish it was a little bigger so I could fit a small lunch and everything else for my work commute. Otherwise perfect. 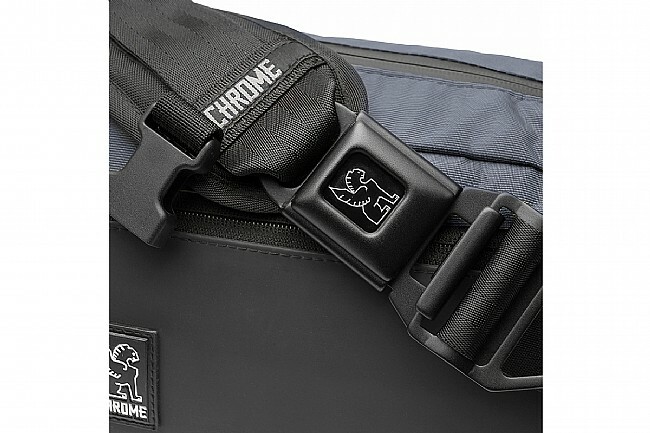 I am very happy with my Chrome Citizen bag, that I've had for years. I was looking for something less bulky, just to carry my everyday stuff Keys, rain jacket, wallet, sunscreen, pens and notebook Even my medium format camera fits in ! This Welterweight version is great, the fabric seems sturdy and the classic heavy steel buckle has been replaced by aluminium, way lighter. I think I'm good for at least the next 10 years!